Brady Tutton is an American singer, actor, and performing artist. Check out this biography to know about his childhood, family life, achievements and fun facts about him. 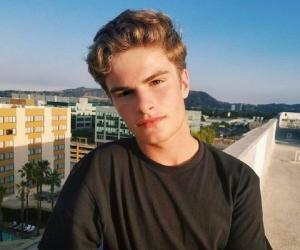 Brady Tutton is an American singer, actor, and performing artist. He gained fame after winning the reality music competition ‘Boy Band’ to become a part of the American boy band, ‘In Real Life’. 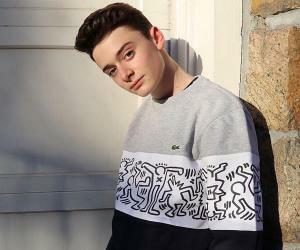 He was one of the winners alongside fellow bandmates Chance Perez, Drew Ramos, Sergio Calderon, and Michael Conor. He is also famous for his performances as Brock on the TV series ‘Fresh off the Boat’. 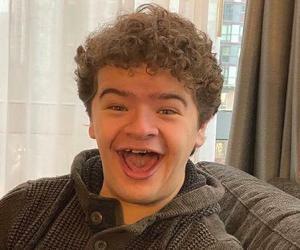 He has been seen in movies like ‘Sleep, Wake, Forget’ and is the lead in the upcoming movie ‘The Rocket’. Brady has been trained in opera singing and acting. 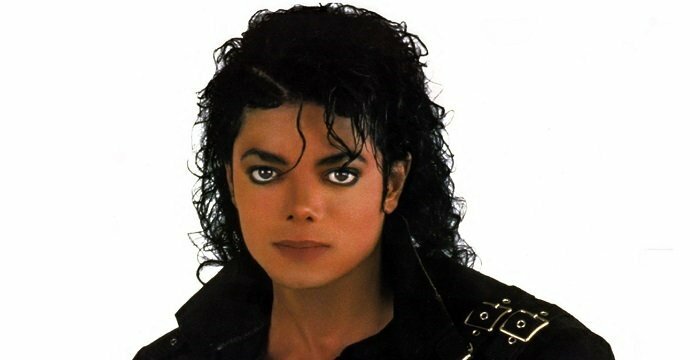 Although he started off singing and acting alongside his family, most of his recent outing has been as part of the band. The group has released three singles ‘Eyes Closed’, ‘Feel This Christmas’, and ‘I’ll Be Home For Christmas’, which has been received well by their fans. Although Brady Tutton’s fame is on the rise, he intends to complete his education while pursuing a successful career in both singing and acting. 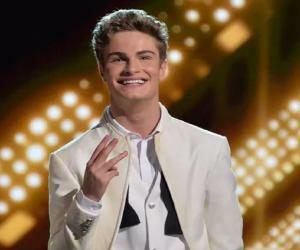 Brady Tutton began his career training for opera and acting. He followed his elder siblings, Ryan and Casey, and his parents to stage. They also performed together in a production of ‘The Sound of Music’. His mother has been a very active influence on his career since childhood. Some of the videos posted by her on her YouTube channel ‘Collen Tutton’, showcase a young Brady with elder sister Casey performing covers of songs like ‘Lady Antebellum / Run To You’ and his solo performance of ‘It’s So Hard to Say Goodbye to Yesterday’. In 2012, Brady Tutton was cast in a small role in the movie ‘LOL’ starring Miley Cyrus. This served as a launchpad for his career, as Brady soon found himself appearing on shows like ‘Chicago Fire’ and ‘Dr. Good’ in 2013. Around the same time, he also voice-acted the role of Little Jack in the episodes ‘Doc McStuffins Goes McMobile/Chip Off the Ol' Box’ and ‘Out of the Box/Run Down Race Car’, on the TV series ‘Doc McStuffins’. While these smaller roles established him as an actor, Brady Tutton landed his breakthrough role on the hit TV series ‘Fresh Off the Boat’. He made his first appearance as Brock, a middle-schooler and frenemy of lead character, Eddie Huang, in the episode ‘Pilot’ on February 22, 2015. He appeared on a total of seven episode with ‘Family Business Trip’ airing on September 22, 2015, being the last. In 2016, he had a major role in the movie ‘Sleep, Awake, Forget’ and is also playing the lead role in the movie ‘The Rocket’ (2018). Alongside his surging acting career, Brady Tutton has found even more success with his singing. On June 22, 2017, he appeared as a contestant on the ABC reality-singing competition ‘Boy Band’. On August 24, 2017, Brady Tutton, Chance Perez, Michael Conor, Sergio Calderon, and Drew Ramos emerged as the winners of the competition and received a recording contract with Hollywood Records. The five formed the band ‘In Real Life’ and on September 15, 2017, released the music video of their debut single ‘Eyes Closed’. It received over 1.4 million views. The boy-band has also released two more singles including ‘Feel This Christmas’ and ‘I’ll Be Home For Christmas’, which were received well by their fans. Brady Tutton was born in Shorewood, Wisconsin, USA, on December 7, 2001, to Sean and Coleen Tutton. He has an elder brother named Ryan and an elder sister named Casey. He went to Shorewood High School. When he was a child, he suffered from stuttering and was bullied by schoolmates. He overcame that with training and singing. It is not known if he is dating anyone as he likes to keep his dating life away from social media.